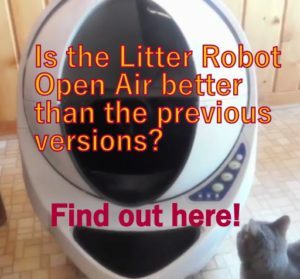 Petmate Pet Cafe Gravity Feeder Review - Good Price But Does It Work? 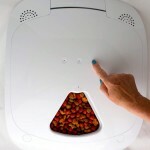 (3.9/5)Petmate Café Gravity feeder keeps your pet with food at all times with its gravity system. The unit features a clear transparent food container which allows you to check the food level accurately. The feeder design is simple and it looks nice in any kitchen. 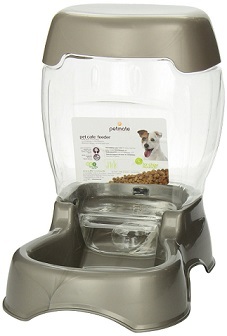 Petmate Cafe Feeder’s food hopper is made from sturdy PET plastic (polyethylene terephthalate). 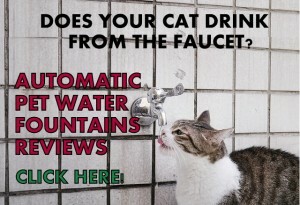 PET is a BPA-free plastic that is safe and recyclable. 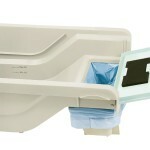 The unit features recessed handle areas for easy lifting so you don’t risk to drop the feeder when carrying. Petmate Pet Cafe Feeder’s base and lid are dishwasher safe. The Petmate Feeder comes in 3 colors pearl tan, pearl blue, pearl white and in 3 sizes: 3 lbs, 6 lbs, and 12 lbs. 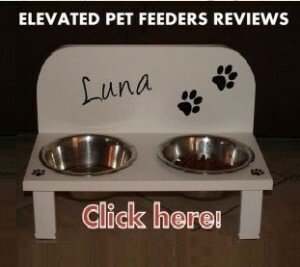 This review is for Petmate Cafe Feeder 3 lbs capacity. 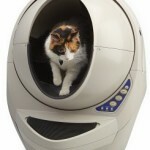 WHAT ARE THE PROS AND CONS OF PET CAFE FEEDER? It looks very nice for the price and it matches most kitchens. The chute opening where the food comes out it’s on the narrow side so food gets stuck and does not flow into the dish, a little shake helps the food to get released. Very small flat kibble may help to prevent the food from getting stuck. You can place a flat object under the base on the back to tilt the unit a little and allow the food drop more easily. 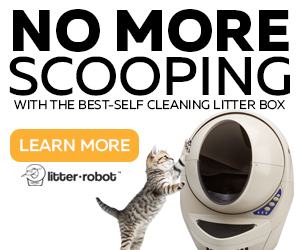 If you want to match this feeder with a water dispenser you can get the Petmate waterer pearl tan ¾ Gal. which looks nice with the feeder. 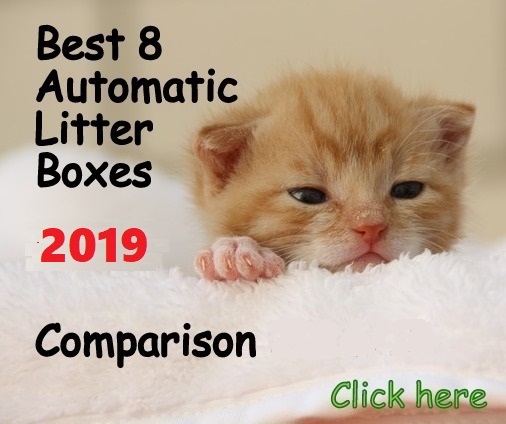 The feeder has a good price but, as mentioned, the major issue reported by customers is the food getting stuck in the chute and not dropping into the tray. 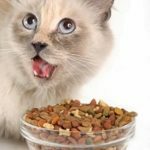 This issue becomes a “Pro” if you have a smart cat that paws at the food and gets more kibble dropping into the tray; this way your pet exercises to get its food. 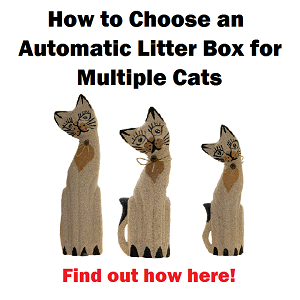 If your cat doesn’t know how to do this, this may not be the feeder for you. 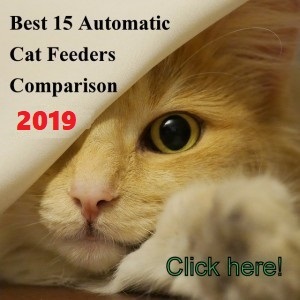 In case you spend most of the time at home and you are able to check on the feeder occasionally to shake it, this may still work for you and your cat.